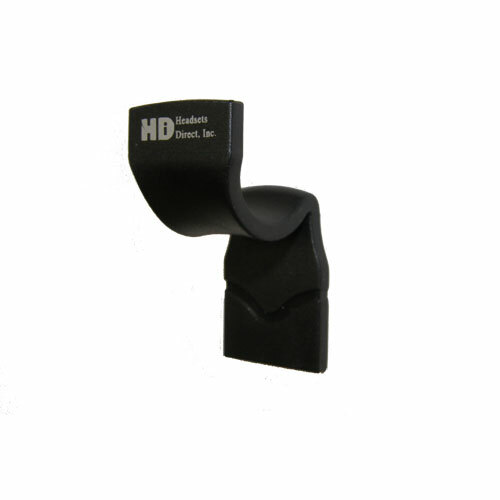 HDI Headset Hanger (Holder, Hook or Stand) - 04264-37 - Headsets Direct, Inc.
For the first time, you can safely store your headset when not in use. 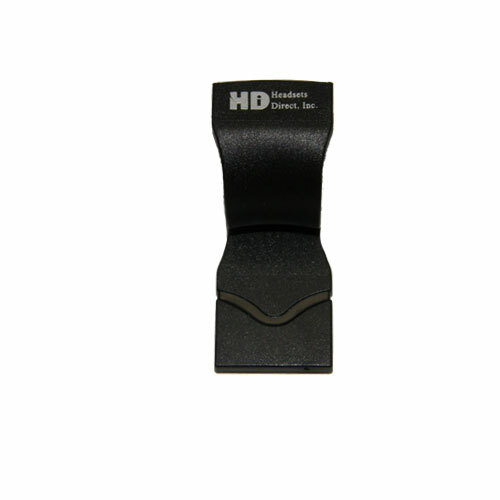 The Headset Hanger quickly and easily attaches with adhesive tape to the side of your computer monitor or desk for safe storage when not being worn. We’ve had many customers request a headset stand that attaches to their amplifier but we realized that not everyone uses an amplifier so we created the Headset Hanger to act as a universal headset stand on which to hook your headset. You will no longer leave your headset resting on the desk waiting for someone to pass by and knock it to the floor or the vacuum to latch onto the cord. 15 people in our office needed an inexpensive and convenient way to store their headsets on their desktops. None of the stationery catalogs had anything suitable so we were happy to find the Headsets Direct website with exactly what we were looking for. Everyone loves them! I could not find many of these online for some strange reason, so it was great to find them and at a good price. I stuck mine to the side of my monitor and it is attached well but if needed, I could pull it off without affecting the monitor.